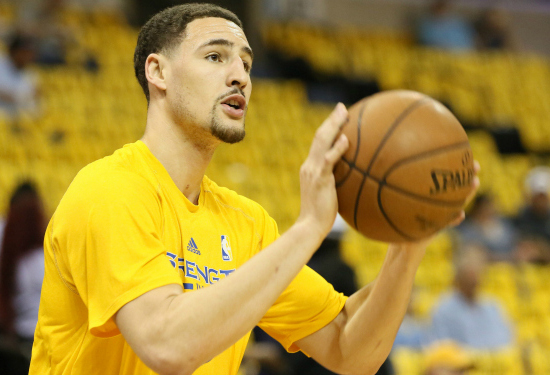 Klay Thompson was born on February 8, 1990. He is a guard/forward who was drafted 11th overall by the Golden State Warriors in 2011. He has become known as one of the greatest three-point shooters of all time and along with Stephen Curry, became known as the “Splash Brothers”. He was picked for the all-star team for the first time in 2015. He attended Washington State University where he started in all 33 3games as a freshman. His father Mychal Thompson also played in the NBA for teams such as Portland Trail Blazers, San Antonio Spurs, and Los Angeles Lakers. Klay’s younger brother Trace plays MLB for the Chicago White Sox and his older brother Mychel plays in the NBA Development League. Thompson is an American professional basketball player. Thompson started dating Hannah Stocking, a social media superstar, and model. He was also rumored that he started seeing Kerrueche Tran, Chris Brown’s ex-girlfriend, after breaking up with Stocking. Thompson is associated with Steve Kerr, Stephen Curry, Kevin Durant, Draymond Green, Andre Iguodala, James Michael McAdoo, Patrick McCaw, JaVale McGee, Zaza Pachulia, Anderson Varejão, David West, and Shaun Livingston. 1. Clay’s father is black American and his mother is white. 2. He was drafted into the NBA in 2011 as a Round: 1 Pick and 11th overall by the Golden State Warriors. 3. His awards as of the end of 2016 includes one NBA champion (2015), 2 times NBA All-Star (2015, 2016), 2 times All-NBA Third Team (2015, 2016), NBA Three-Point Contest champion (2016), NBA All-Rookie First Team (2012), and 2 times First-team All-Pac-10 (2010, 2011). 4. He holds the NBA record for the most points scored in a quarter by scoring 37 points (Jan. 23, 2015). Klay Thompson also 60 Points, in Just 29 Minutes, in December 2016.